Entertainment Event Planner (pre-wedding- coming from an “entertainment and guest interaction” perspective.) The ability to leverage my experience of performing at over 1,100 weddings personally to become your trusted advisor for practical help in creating the vision, transition, flow and more. (this role is often placed on us with the assumption that a professional wedding DJ/MC will absorb these responsibilities. However, the services offered in our packages are in NO way meant to replace the qualified, and professional wedding planner. 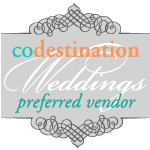 My approach is from an entertainment perspective in leading and directing the audience and how that fully coordinates (and integrates) with all participating wedding vendors to ensure a smooth, worry-free flow. Wedding Event Director (at the wedding / reception, and coming from an entertainment perspective.) The delicate art and science of keeping YOUR entire wedding agenda on track, while seamlessly keeping guests entertained. Yet, keeping the spotlight of attention solely focused on YOU when it needs to be, thereby allowing you to relax, have fun and fully enjoy YOUR day! Critical to this, is a series of checklists, proven procedures, detailed processes and an attention to every wedding detail that is rarely seen, yet an integral part to a smooth, perfect wedding. (it’s the little things, like: making sure the cake knife is at the cake table prior to the cutting of the cake; making sure the Father of the Bride, the Bride, and the Photographer is in the room and ready for the Father / Daughter dance prior to announcing that special dance, etc.) That’s what we do! • SEPARATE pro JBL sound system (for the ceremony or cocktail hour) – to ensure a smooth, seamless transition from the ceremony directly to the reception. • High quality wireless headset OR lavalier (lapel) microphone(s) available (for the ceremony). • Pro JBL wireless speaker(s) – usually necessary and critical at some venues with decks, patios, or multi room applications. The fusion of elegant and unique to create a romantic & memorable wedding wow! Creative Involvement. The realization is, that nobody wants to feel left out at a wedding, yet everyone may not dance. That’s okay! We know how to tastefully invite guests to become an active participant throughout the wedding celebration, and have a great time, where your guests want to dance the night away, or sit and sip coffee and chat. Comprehensive Personalization. The understanding that YOU have a vision for YOUR day, and that no two Brides are alike, nor are two weddings alike. Brides often look to me for valuable, experienced advice to also make your wedding celebration creative, tastefully unique, fun and entertaining. From key selections on tasteful music for the cocktail hour, music selections for the ceremony, cake, grand entrance and more, I often help my Brides select the traditional events that fit her style, and personality, and methodically craft them into an organized, entertaining script. Then, repeatedly rehearse over and over to ensure proper pronouncement, and to provide a wide variety of music selections: including a music do not play list. When it’s time for the last dance, the agenda, the flow, the creative special touch moments we’ve crafted, along with all the musical selections have been completely and personally customized to fit YOUR unique style, taste, personality and dream for YOUR perfect day. Roadie. Often overlooked, but we are the person solely responsible for loading in, setting up, and checking all the gear under every possible circumstance: up three flights of stairs, in a blizzard 20 below zero or rain down pour, several hours away, then tearing it down and driving back at 2am. It’s our responsibility to make sure everything is at the event, set up exactly as it’s supposed to be, in perfect working order. Liability insurance (we don’t just tell you we have it, and hope something never happens. You’ll see proof when we meet. This is getting to be more and more important; especially now that many venues are starting to require the actual DJ performing fax proof of coverage just a few days before the wedding in order to be allowed to set up for the event. Translation: no verifiable proof of insurance = no set up = no DJ = stressed Bride). FREE travel within the Front Range (no charges for fuel, drive time, etc). Consistently serving Fort Collins to Estes Park, Colorado Springs, Denver, Boulder, Greeley, Vail and ALL across Colorado. Also willing to perform out of State by request. No hidden charges (you are only paying for performance time).